You’ve probably heard by now that Detroit rapper Danny Brown has named his fourth studio album after a Joy Division song (and, technically, a novel). It’s a move that sums up a lot about Brown; his prior work is known for bending genres — being simultaneously reverent toward Brown’s hip hop ancestors while incorporating tenets of rock and electronic music, ultimately managing to find a way to sound like both. As a result, Brown has an unusual amount of crossover appeal, equally well-received by Hot 97, the Gathering of the Juggalos, and the NPR crowd. However, the name is far from a gimmicky attempt to get brownie points for his musical knowledge. Even if it’s not very sonically similar (though there is a blatantly Ian Curtis-influenced vocal guest spot from South African vocalist Petite Noir on the track “Rolling Stone”), ATROCITY EXHIBITION is, like much of Joy Division’s work, an exploitation of the artist’s’ own isolation. 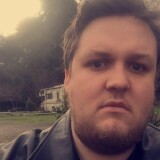 Brown, who has never been one to mince words lyrically, introduces himself on album opener “Downward Spiral” as an addict experiencing physical and emotional withdrawal. The track, delivered over a beat consisting of jazzy drums, stabbing synthesizers, and a wobbly double bass sample, is devastatingly effective. Brown’s verses are unabashedly confessional here, and the tensions between his confident delivery and his lyrics seem to imply a desire to *not* feel the isolation he expresses, creating a potent and interesting combination that permeates the whole of ATROCITY EXHIBITION, and works better being performed by Brown than it would by most any other musician. The excellent posse cut “Really Doe” deserves its own paragraph, as it is one of the best single releases of 2016 so far. Brown has explained that the song was initially an unfinished track that Kendrick Lamar heard during a mixing session, and the two recruited Ab-Soul and Earl Sweatshirt to contribute to the track. Lamar provides the verse and a potent hook, and the song, produced by Detroit producer and longtime Brown collaborator Black Milk, is powered by an old-school beat that puts the focus squarely on the MCs. This is a group that, on paper, should deliver a great track, and they do more than that — Sweatshirt’s verse is his best on any record, and all four deliver A+ quality verses that combine to make a track that deserves instant classic status. Ultimately, Brown is at his best when he is most aggressive. Brown’s 2013 release, OLD, featured several feverish grime and EDM influenced songs that were, for lack of a better word, bangers. While those songs more openly celebrated Brown’s drug use and party-first attitude, the aggressive tunes on ATROCITY EXHIBITION borrow their energy from a much darker place. There’s no “Dip” or “Smokin and Drinkin” on this album (the song which is supposed to be for the clubs according to Brown, “Pneumonia,” falls far short and is the album’s biggest misstep), but there are several songs that find Brown with a more focused and angry energy than in the past. The album’s well-crafted beats, most of which are contributed on this album by UK producer Paul White, are often abrasive and aggressive, though not always loud or out of control, and Brown has the prowess to match them. The best of these songs is mid-album horror show “Ain’t It Funny,” centered around brassy synthesizers and Brown’s manic lamentations of his own addictions. The track, and much of the album, is Brown laughing in the face of Satan himself — unrepentant but vulnerable underneath the bravado. ATROCITY EXHIBITION is a hazy and anxious exploration of Brown’s person and persona, and like Brown himself, unabashedly imperfect while still being stimulating to both the brain and the id. Though it’s hard to say how it measures up to his past work at this point, Brown’s output has been consistently good, and we leave ATROCITY EXHIBITION feeling that Brown is at a crossroads, both artistically and personally. 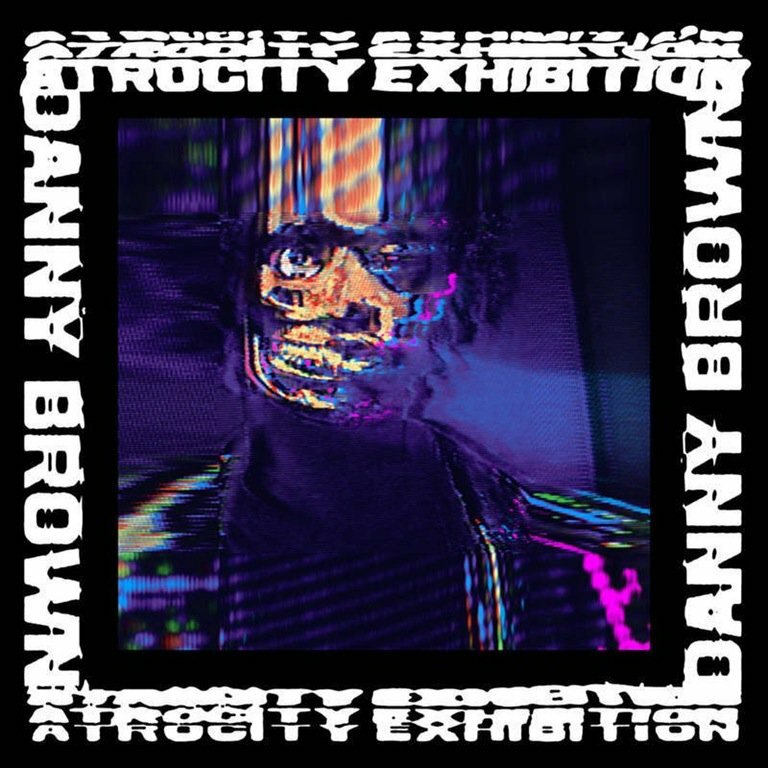 Brown has said that this album is the first to be truly reflective of the “Danny Brown sound,” and that sound is a unique one that toes the line between the intellectual and the lowest-common-denominator in a way that few artists are capable of.